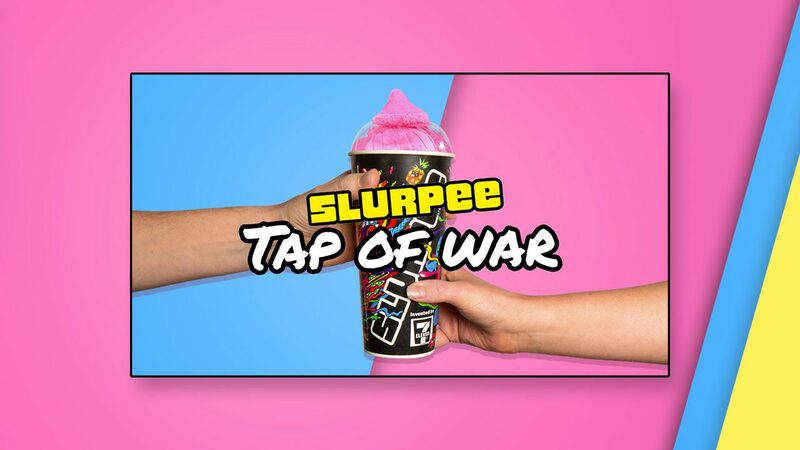 We created an intense 2 player game using Instagram’s left and right Story functionality to bring friends together over an icy cold Slurpee. Tap of War was recognised by Facebook as a Best Practice and Innovation case study. How do you inject Slurpee's rainbow filled, high energy personality into Instagram Stories? Slurpee is rainbow-filled, cheeky, high-energy and thirst-quenching. Amongst paid partnerships, FOMO-inducing influencers and boring boomerangs, we were tasked to create Slurpee's version of a Story. But it had to reflect the crazy, loud and fun nature the fans have come to expect. So how do you inject a little of that into Instagram Stories? We created the first gamified and competitive Instagram story using the left and right functionality. We hacked Stories to create an experience that represented the playful, energetic brand and kept people tapping back. Tap of War is the first gamified and competitive Story—a high-intensity game of skill using the left and right functionality. The objective? Tap to pull the Slurpee onto your side for sweet victory. And the prize? Well, that’s up to you.